The world's most popular natural history museum is dedicated to understanding the natural world and our place in it. Delve into the fascinating story of our planet, from its fiery beginnings through billions of years of transformation, and explore life on Earth through exhibitions and activities, collection objects and research that happens in the lab and in the field. 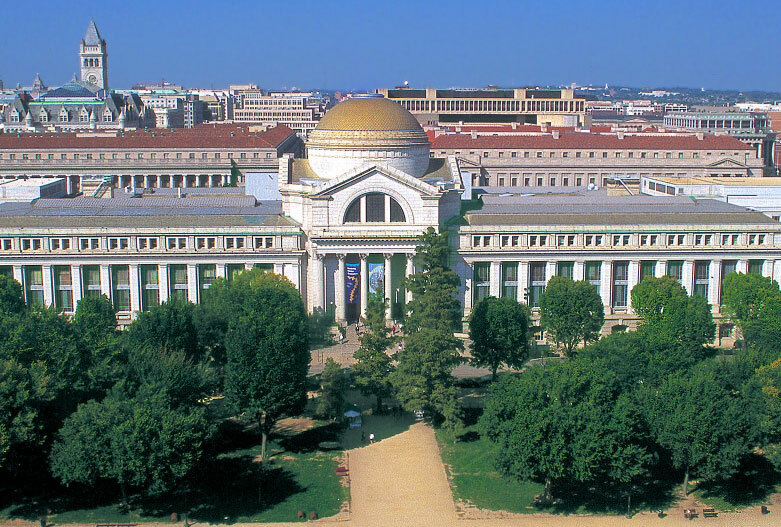 The museum is larger than 18 football fields and is home to the largest natural history collection in the world. Q?rius, where teens, tweens and their families connect science with everyday experiences; Q?rius jr, a discovery room for families with young children; Hall of Human Origins; The Last American Dinosaurs; mammals; Ocean Hall; the Hope Diamond; Egyptian mummies; Daily tarantula feedings in the O. Orkin Insect Zoo; Butterfly Pavilion ($). The Museum’s cafeteria is being renovated to better serve our visitors. A temporary cafeteria featuring sandwiches, salads, hot and cold drinks, and desserts is now open on our second floor. This location is group friendly and offers prepaid vouchers to groups of 10 or more! The David H. Koch Hall of Human Origins: What Does It Mean To Be Human?